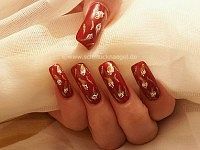 Home Nail art Archive by category "Marbling"
– Instruction for marbling with step by step pictures. We hope that you liked! with strass stones – Step by step marbling instruction. We hope that you liked! with glitter powder in silver – Marbling step by step instruction with photos. 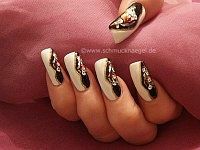 with nail art bouillons in silver. Marbling instruction with step by step pictures. with marbling technique for the fingernails – Nail art instruction with step by step pictures. We hope that you liked! 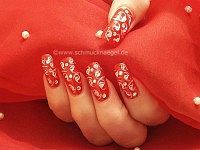 with spot-swirl or toothpick on the damp nail polish – Nail art instruction with step by step pictures. We hope that you liked! 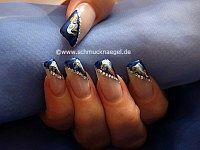 Fingernail design with nail art bouillons in silver – Nail art instruction with step by step pictures. We hope that you liked!